Welcome to Smoothie Monday! 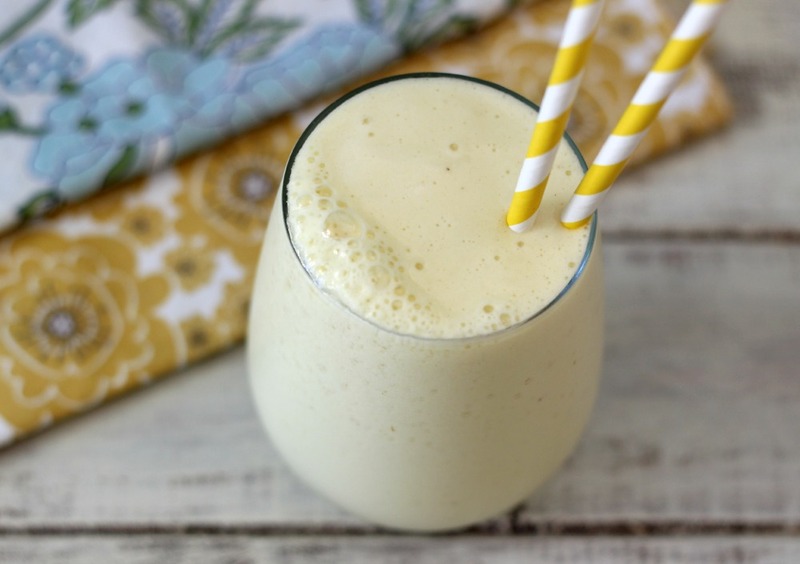 Today’s smoothie is simply an amazing one! It contains two of my favorite ingredients, pineapple and coconut. Yeah, you probably know where I’m going with this one. No it’s not a pinacolada, but very close! 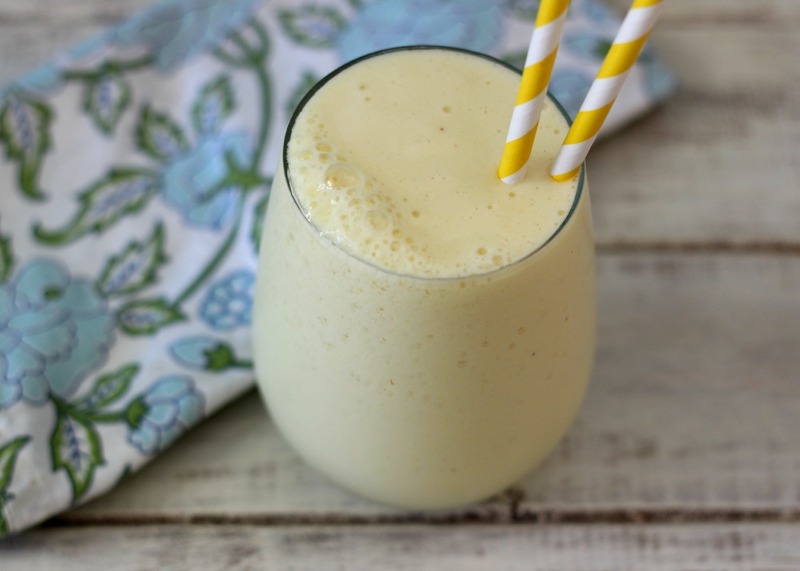 It’s my Pinacolada Banana Smoothie! Oh yeah! Now this screams summer!!! 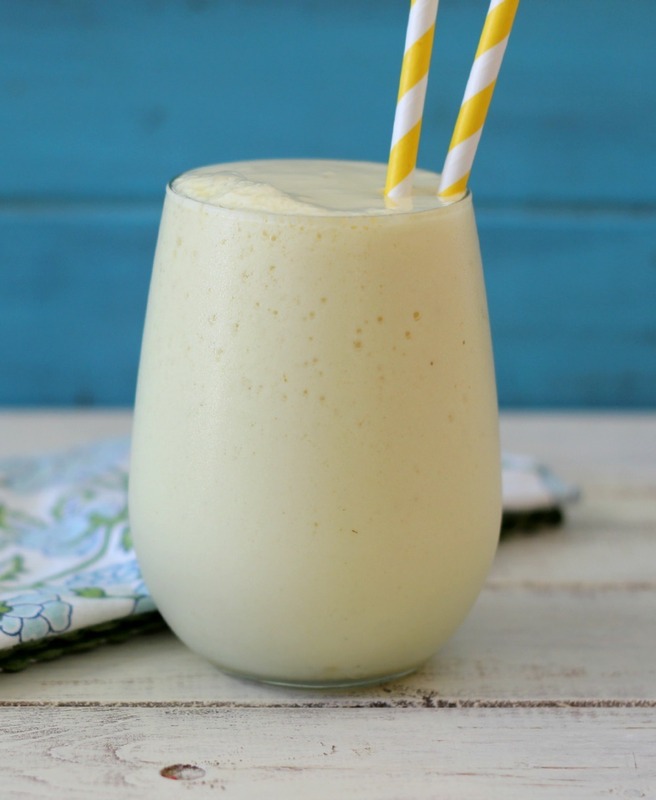 A light, tropical frozen drink made with pineapple, banana and coconut. I am really enjoying my summertime drinks. I have to admit since I had my wisdom teeth pulled, I have been on a liquid diet. I have been drinking a protein shake for breakfast, smoothie for lunch and a normal dinner and I have to admit, I feel good! I have energy and I even lost a couple of pounds. It wasn’t intentional, but it seems to be working for me. I’m going to try to stick to this for a while. I have two big summer trips coming up and I know I’ll be eating bad on them, so I want to make sure I lose a few pounds before hand because I know I’ll gain a few when I’m there! Thanks for the great recipes, Jen. They help me to “chang-up” my breakfasts while keeping the newly-lost weight off and keeping me healthy! 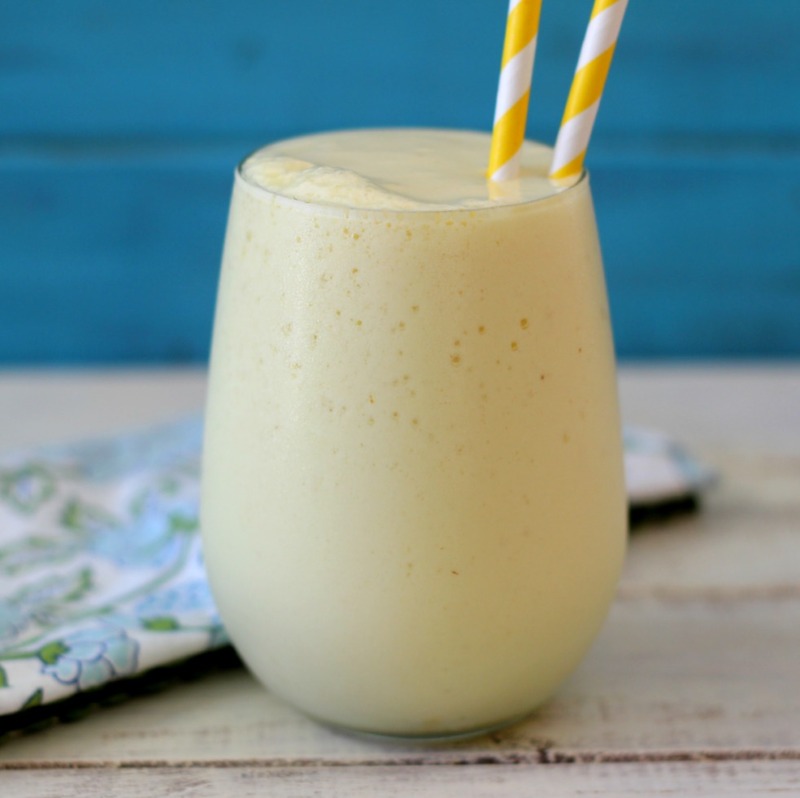 This looks like it could become my favorite smoothie!